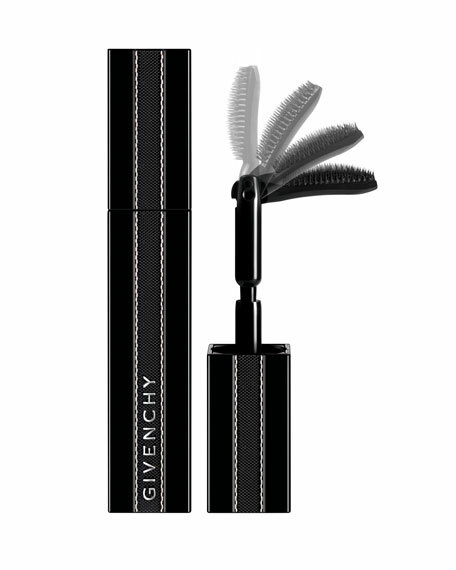 A deep black mascara that creates a lash extension effect & buildable volume, thanks to its innovative 90° bendable brush. Lashes are deeply reached from the root up to unlimited lengths! 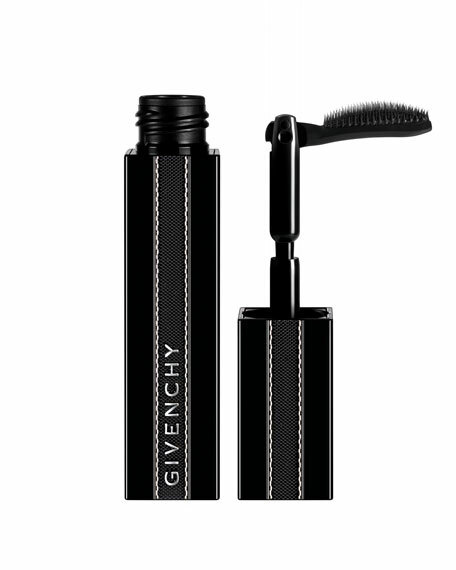 The innovative 90° bendable brush inspired by Givenchy's backstage shows is coupled to a unique stretching formula to create the ultimate lash extension effect without compromising your lashes and customized volume. Intensely lengthen, volumize & define lashes! 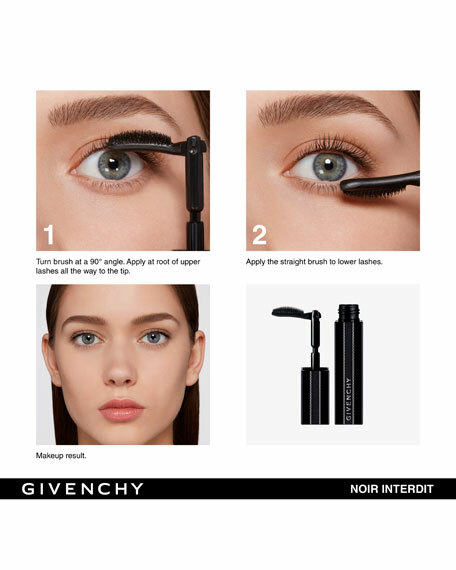 For an even bolder result, apply Base Mascara Perfecto before your Noir Interdit Mascara.